Welcome to the Close to My Heart Stamp of the Month Blog Hop for August. This month we are featuring the stamp set "Baroque Borders". Hop along with me & a bunch of other great CTMH consultants! We've created a whole lot of artwork for you, all using the August Stamp of the Month. If you've come here from Brae's Blog, you are on the right path. If this is your first stop on the hop, that will work too (just keep hopping till you get back here again). My creation this month is a 12x12 layout featuring one of the beautiful corner flourishes from this stamp set, as well as on of the gorgeous new Fall/Winter 2012 paper collections from CTMH - "La Belle Vie". 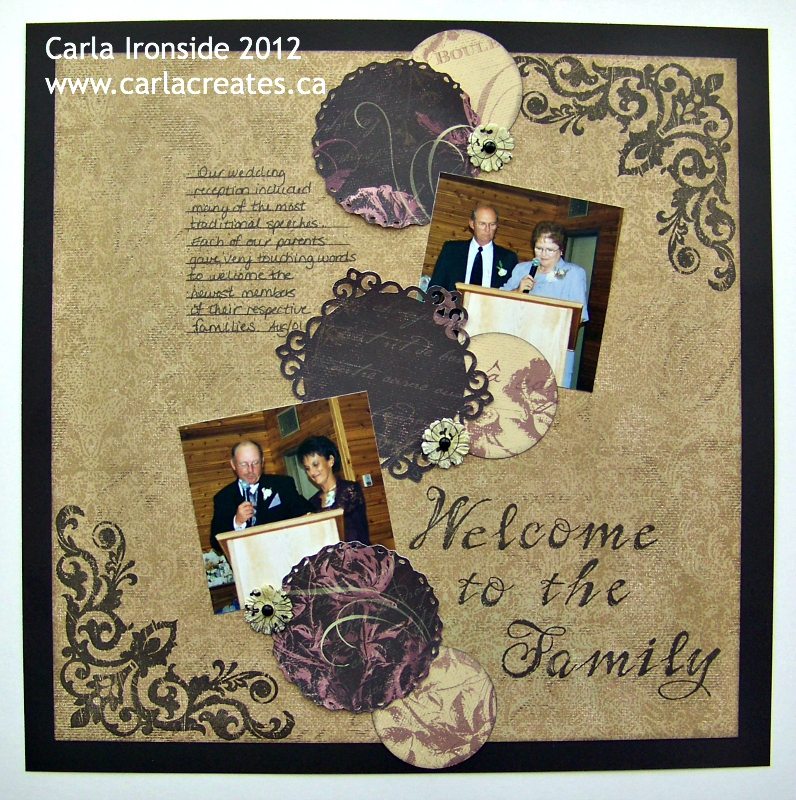 My layout is based on Sketch #219 from Creative Scrappers. 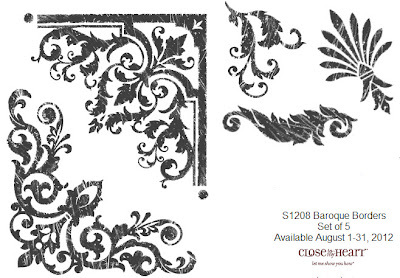 If you would like to continue on this month's blog hop for more fabulous inspiration using this great stamp set - "Baroque Borders" - continue on to GINA's BLOG to see what she has created for you. Ooooo gorgeous! I love the colors and the layout!